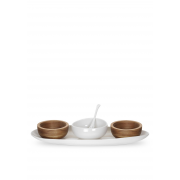 A five piece serving set from the ambiance collection by Portmeirion. 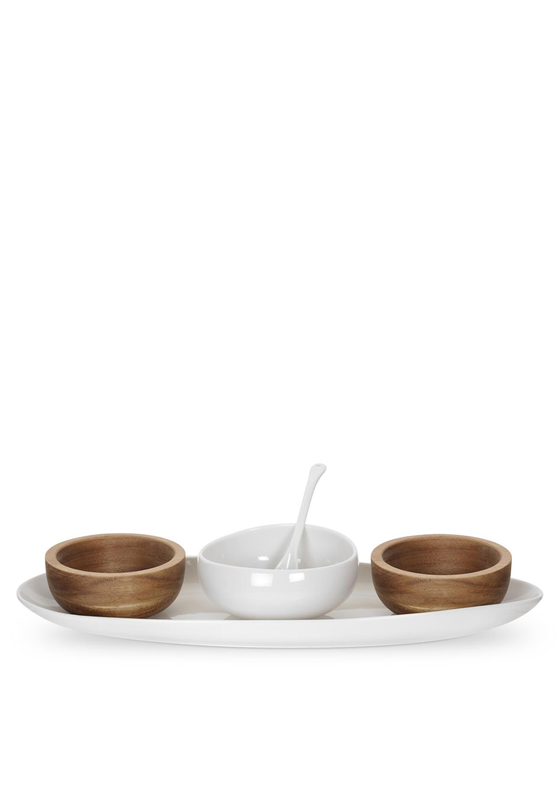 This set contains three bowls on a white porcelain presentation plate with a matching porcelain spoon. It has an elegant touch that is perfect for casual dining and dinner parties.